Sump pumps are used in both Basements and Crawl Spaces and are the heart of your homes waterproofing system. The Sump Pump is placed inside a specially designed basin and connected to a drainpipe. 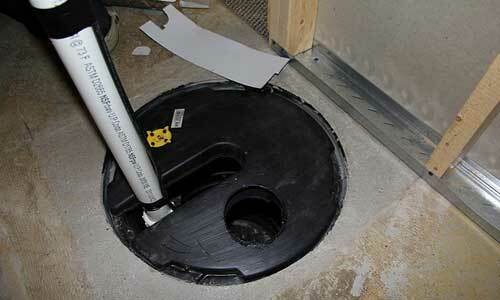 The sump pump lid is designed to create vapor lock so no water can enter from the sump pump area. The sump pump system carries water that accumulates below your foundation to your homes exterior and away from your foundation. We can replace old Sump Pumps or install entire new Sump Pump systems. There are many options when it comes to choosing the right type and size of Sump Pump. Our waterproofing experts can recommend and install the right sump pump for your basement or crawl space to effectively direct unwanted water away from your home and keep your space dry. A sump pump removes water, usually it is installed in a sump basin. Sump pumps are typically installed below your basement floor or crawl space. When water builds up underneath your foundation it is moved to your sump basin and pumped out of the house to a designated area. What Kind of Sump Pump do I need? 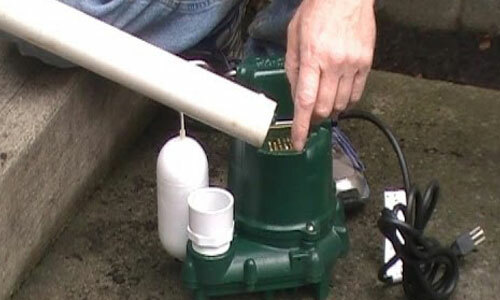 There are many types of Sump Pumps available today. The amount of water which needs to be moved is one of the primary factors in determining which the kind of pump is needed. The life of your Sump Pump can depend on a few different factors. Typically Sump Pumps will last from 5 years to as long as 20 years or even more. The better question to ask might be: When should I replace my Sump Pump? It is a good idea to have your Sump Pump inspected a regular basis to make sure it doesn’t fail and result in a serious flooding problem.